fire deptatment gear dryerContinental ExpressDry Gear Dryers are engineered to safely and quickly dry personal protective equipment, including turnout gear, helmets, gloves, boots, face masks, and self-contained breathing apparatuses (SCBA). The dryer works by blowing a large volume of air, at high pressure, safely through the garment—drying even hard-to-reach areas. 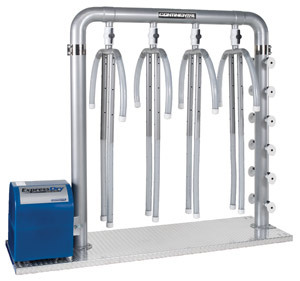 NFPA compliant, the Continental ExpressDry Gear Dryer accommodates up to six turnout suits simultaneously—ensuring firefighter gear is safely dried and returned to service in hours, not days. Each year, the U.S. Department of Homeland Security provides hundreds of millions in grants to help fire departments better protect their firefighters and the greater public. Hundreds of fire departments each year receive funding for new laundry equipment – essential for decontaminating protective gear. The Assistance to Firefighters Grant Program assists rural, urban and suburban fire departments throughout the United States. Funds are used by the nation's firefighters to increase the effectiveness of firefighting operations, firefighter health and safety programs, new fire apparatus, emergency medical service programs and fire prevention and safety programs. To find out more about the Assistance to Firefighters Grant Program visit http://www.firegrantsupport.com. Gear Laundering for Fire Departments – View the brochure on how gear washers and dryers are designed specifically for fire departments. 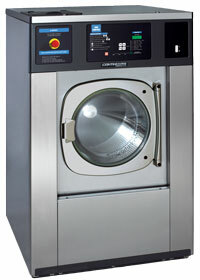 Grant Writing Info Sheet – Find out why laundry equipment qualifies for AFG grants and how to get started. Washer Sizing Reference Sheet – Find out what size washer you need.